It seems that there are already more than enough X11 ASIC miners available in order to essentially kill the profitability and make the purchase of a new X11 ASIC unprofitable on the long run. So what remains is the purchase of a small and affordable X11 ASIC miner for hobby miners that are not there just for the profit like most other miners are. 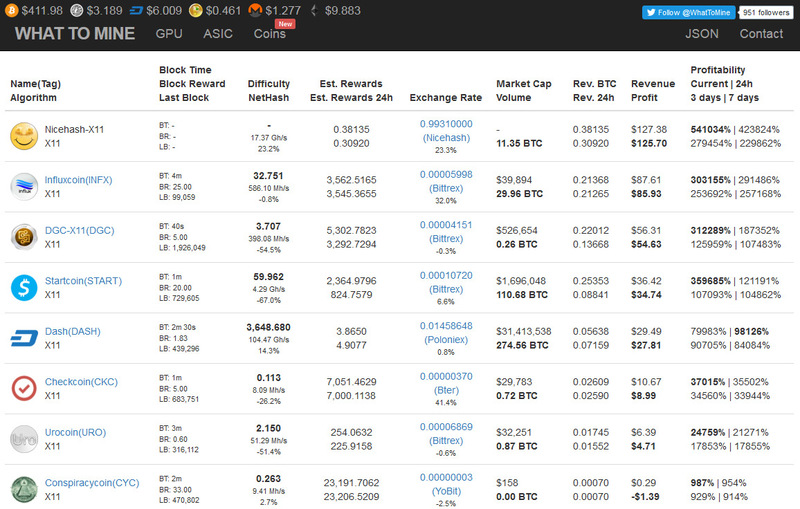 Here is a quick check for the different X11 ASIC miners to see what daily profit you can expect via the What to Mine service. It seems that among the more established X11-based coins (they are not many and that is one of the problems for X11 ASICs) currently the most profitable one is Adzcoin (ADZ) followed by the leasing of your X11 hashrate at Nicehash and mining for DASH is a few steps below. The numbers above are based on the current exchange rate and do not include power costs for running the miner, so they are for the revenue you get from the miner, not the actual profit that remains when you deduct the power costs. As you can clearly see the X11 ASIC miners are already pretty expensive compared to what they are able to deliver in terms of daily earnings. If the situation remains like that you might be looking at something getting close to a year to get back your investment before starting to actually earn something on top, and things will most likely get even worse before (if) they start to get better. So if you already have an X11 ASIC miner you might want to either sell it or look for new coin launches that may temporary increase your mining profits. 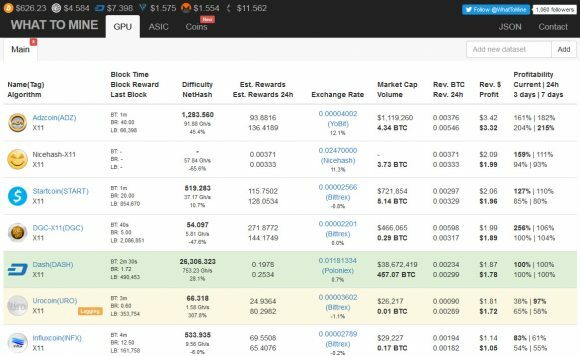 People that are not yet aware of the presence of X11 ASIC miners on the market that are rapidly increasing the hashrate should forget about mining X11 with their GPUs. 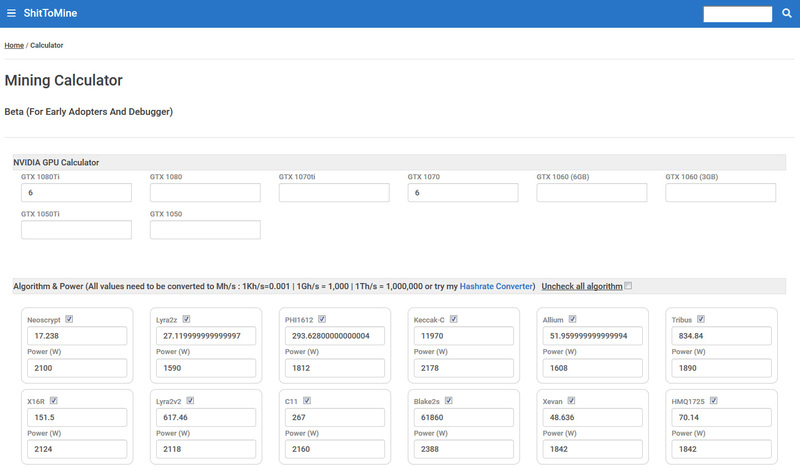 Some very good news for the very few owners of the first batch of iBeLink DM384M X11 ASIC miners, but also for GPU miners as well – X11 mining profitability on NiceHash has skyrocketed in the last hours and is still keeping high. Selling X11 hashrate on NiceHash has been the most profitable long term choice since the beginning of this month and the preferred choice for the 50 lucky owners of the first batch of iBeLink X11 ASICs. Today however we are seeing the X11 profitability more than doubling compared to what it was just a few days ago. 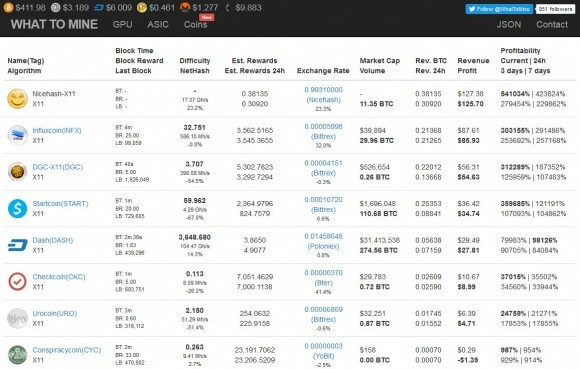 Now, some people are considering that X11 is already a lost cause for GPU mining, but it is too early for that as there are still very few X11 ASIC miners available and with high profitability increase like the one at the moment you should take advantage even with GPUs, let alone to miss the opportunity if you have an ASIC miner in your hands. The next batch of iBeLink X11 ASICs is expected around mid-May and even then the number of available units will most likely be small as compared to what we have seen with LTC ASIC miners fooling the market when they first appeared. So if you are not mining Ethereum or Decred with your GPUs you might want to check the profitability for X11 for your GPU mining rigs, and even if you are mining ETH or DCR you might still check if this X11 peak will not be more profitable on the short run.